Description:Berry Hill Secondary Modern School under construction in September 1964. 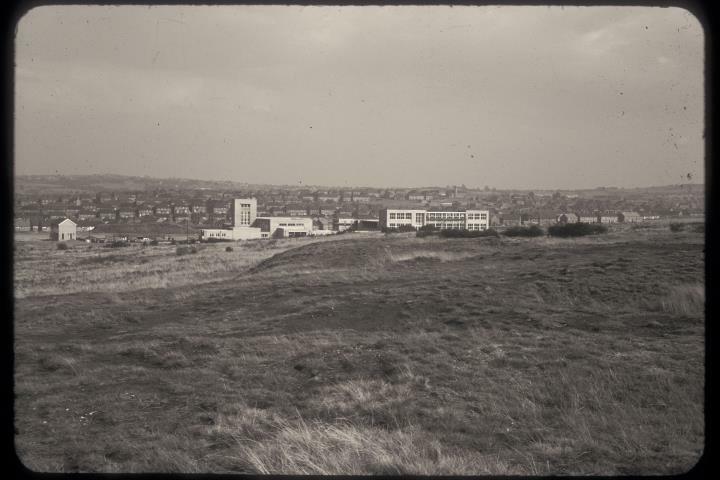 The photograph was taken west of Arbourfield Drive looking eastwards. 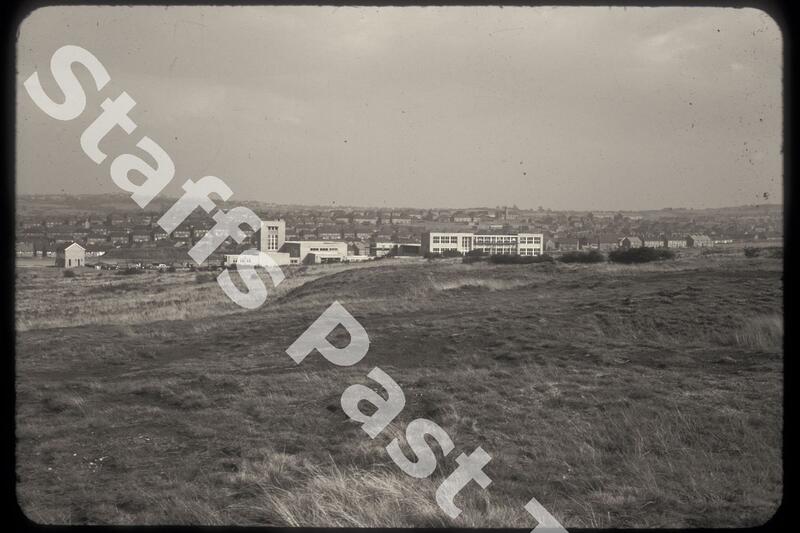 The disturbed ground in the foreground is spoil from the old Brookhouse Colliery, closed in the 1880s. This area is now part of the Eaton Park housing development. The housing behind the school buildings are beyond Dividy Lane in Bentilee. Berry Hill High School later became St Peter's Academy until the school was rebuilt at as St Peter's Academy at Fenton Manor in 2013.